NFTs are distinguishable and you must track the ownership of each one separately. The metadata extension is OPTIONAL for ERC-721 smart contracts (see "caveats", below). This allows your smart contract to be interrogated for its name and for details about the assets which your NFTs represent. This is the "ERC721 Metadata JSON Schema" referenced above. 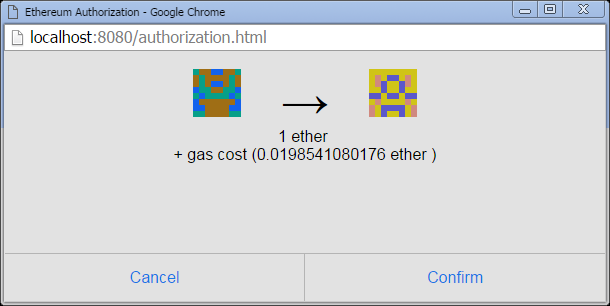 The enumeration extension is OPTIONAL for ERC-721 smart contracts (see "caveats", below). This allows your contract to publish its full list of NFTs and make them discoverable. * Solidity issue #3412: The above interfaces include explicit mutability guarantees for each function. Mutability guarantees are, in order weak to strong: payable, implicit nonpayable, view, and pure. Your implementation MUST meet the mutability guarantee in this interface and you MAY meet a stronger guarantee. For example, a payablefunction in this interface may be implemented as nonpayble (no state mutability specified) in your contract. We expect a later Solidity release will allow your stricter contract to inherit from this interface, but a workaround for version 0.4.20 is that you can edit this interface to add stricter mutability before inheriting from your contract. * Solidity issue #3419: A contract that implements ERC721Metadata or ERC721Enumerable SHALL also implement ERC721. ERC-721 implements the requirements of interface ERC-165. * Solidity issue #2330: If a function is shown in this specification as external then a contract will be compliant if it uses public visibility. As a workaround for version 0.4.20, you can edit this interface to switch to public before inheriting from your contract. * Solidity issues #3494, #3544: Use of this. tracking real-world assets, like real-estate (as envisioned by companies like Ubitquity or Propy. Every NFT is identified by a unique uint256 ID inside the ERC-721 smart contract. This identifying number SHALL NOT change for the life of the contract. The pair (contract address, uint256 tokenId) will then be a globally unique and fully-qualified identifier for a specific asset on an Ethereum chain. While some ERC-721 smart contracts may find it convenient to start with ID 0 and simply increment by one for each new NFT, callers SHALL NOT assume that ID numbers have any specific pattern to them, and MUST treat the ID as a "black box". Also note that a NFTs MAY become invalid (be destroyed). Please see the enumerations functions for a supported enumeration interface. The choice of uint256 allows a wide variety of applications because UUIDs and sha3 hashes are directly convertible to uint256. an authorized operator may set the approved address for an NFT. This provides a powerful set of tools for wallet, broker and auction applications to quickly use a large number of NFTs. A standard interface for tokens that support chargebacks, theft prevention, and lost & found resolutions. The following standard allows for the implementation of a standard API for tokens extending ERC-20 or ERC-791. This standard provides basic functionality to recover stolen or lost accounts, as well as provide for the chargeback of tokens. A recoverable token standard can provide configurable saftey for users or contracts who desire this saftey. Implementations of this standard will give users the ability to select a dispute resolution process on an opt-in basis and benefit the community by decreasing the necessity of consideration of token recovery actions. A standard contract and interface for issuing bounties on Ethereum, usable for any type of task, paying in any ERC20 token or in ETH. a bounty is issued: an issuer specifies the requirements for the task, describing the desired outcome, and how much they would be willing to pay for the completion of that task (denoted in one or several tokens). a bounty is fulfilled: a bounty fulfiller may see the bounty, complete the task, and produce a deliverable which is itself the desired outcome of the task, or simply a record that it was completed. Hashes of these deliverables should be stored immutably on-chain, to serve as proof after the fact. a fulfillment is accepted: a bounty issuer or arbiter may select one or more submissions to be accepted, thereby releasing payment to the bounty fulfiller(s), and transferring ownership over the given deliverable to the issuer. // array of personas of those who funded the issue. Every read only rpc call the dapp wants to perform is redirected to an invisible iframe from the node's domain and for every transaction that the dapp wish to execute, an html popup is presented to the user to allow him/her to cancel or confirm the transaction. This allows the dapp to connect to the node's rpc api without being granted any kind of privileges. This allows users to safely interact with dapps running in their everyday web browser while their accounts are unlocked. In case the account is not unlocked, and the node has allowed the "personal" api via rpc,the html page also allow the user to enter their password to unlock the account for the scope of the transaction. Allowing users to sign messages to show intent of execution, but allowing a third party relayer to execute them is an emerging pattern being used in many projects. Standardizing a common format for them, as well as a way in which the user allows the transaction to be paid in tokens, gives app developers a lot of flexibility and can become the main way in which app users interact with the Blockchain. Using signed messages, specially combined with an identity contract that holds funds, and multiple disposable ether-less keys that can sign on its behalf, solves many of these pain points. Not all executable signed messages contracts will have the same requirements, therefore some fields are optional. Fields byte(0x19), byte(0), from, to, value, dataHash are obligatory while nonce, gasPrice, gasLimit, gasToken, callPrefix, operationType are optional, but must be hashed in this order. 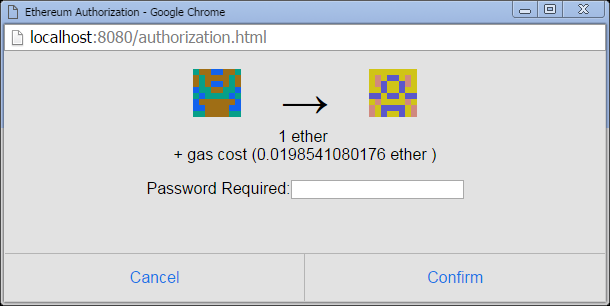 This presents a method to replace the usual signup/login design pattern with a minimal ethereum native scheme, that doesn’t require passwords, backing up private keys nor typing seed phrases. From the user point of view it will be very similar to patterns they’re already used to with second factor authentication (without relying in a central server), but for dapp developers it requires a new way to think about ethereum transactions. 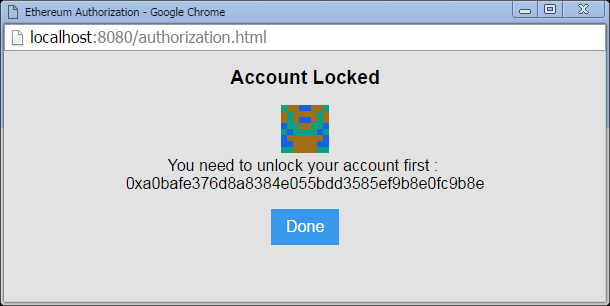 2-1.Generate a private key which it will keep saved locally on the device or browser, the safest way possible. 2-5. (Optionally) Register a recovery method on the contract, which allows the user to regain access to the contract in case the main key is lost.